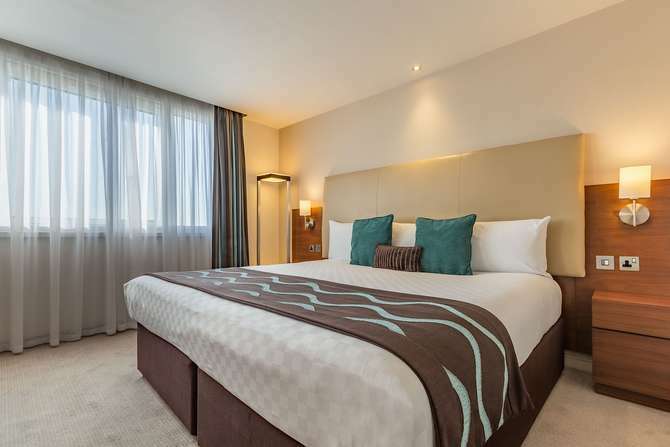 You'll be well placed to experience the city at Thistle Kensington Gardens hotel. We're on Bayswater Road in the fashionable Royal Borough of Kensington – one of the best spots in town. Away from all the hustle and bustle. But just minutes from the West End, Marble Arch and Oxford Street shopping. We'll also make you feel right at home. You can relax or work in one of our 175 spacious bedrooms or 4 junior suites. Stay connected with free WiFi. Park safely in one of our secure on-site spaces. Get the most out of your stay with help from our host managers, always on hand to offer local info or take care of any special requests. All this plus the leafy acres of Kensington Gardens and Hyde Park right across the road! So, not only delightful views, but also plenty of green space for running and cycling, with bike rental available (charge applicable). Getting to other parts of the city is easy too. There are 4 underground stations within walking distance, Paddington mainline train station is about half a mile away and several bus routes pass right by the hotel. If you are staying with us at the weekend, take advantage of the new 24-hour Central Line Underground service, giving you access to central London whenever you desire.